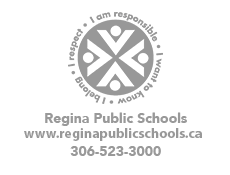 Regina Public Schools has goals and priorities related to Indigenous Education. Information is gathered about the Indigenous student population in the school division to support goals and priorities for their learning. Indigenous self-declaration is intended to establish statistical data that will support efforts of the school division to plan and improve programs in a way that is responsive to Indigenous learners. The information that students, parents and guardians provide is voluntary but important for helping the school division to support Indigenous Education program planning, service delivery and statistical analysis. The brochure below can be printed, filled out and delivered to any Regina Public school or the Division Office. Copies of this brochure are also available at all Regina Public Schools offices.